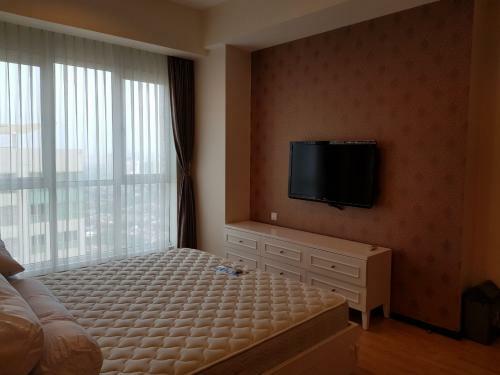 Facility: Shopping centre (Gandaria City Mall), restaurants, cafes, swimming pool, laundry, jacuzzi, gym, sauna, ATM, library, children play ground, tennis court, etc. Easy access (this area is connecting the West Jakarta with South Jakarta through Pondok Indah Artery). 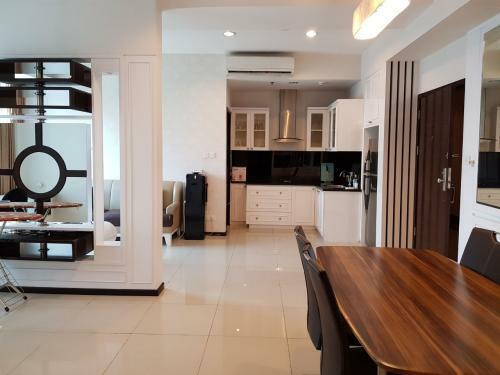 Besides, this residence is located in the residential area of Permata Hijau. 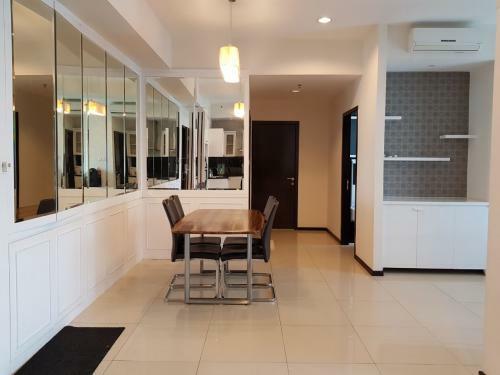 Close to retail shopping center such as Senayan City, Senayan Plaza, Blok M Mall, Pondok Indah and Ratu Plaza. 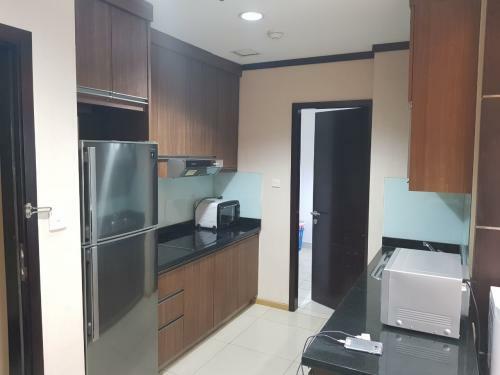 Close to schools and colleges, such as Bina Nusantara University (BINUS), Jakarta International School (JIS) (located in Jl. Patimura and Jl. TB. Simatupang), Jakarta International Preschool (Jl. Tirtayasa), SMA 70, SMA 6 (Mahakam) and other international preschools and state senior high schools. 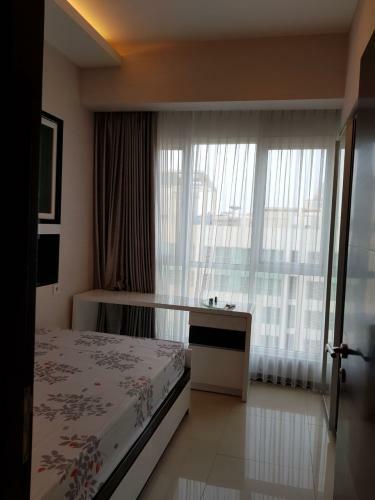 Close to Senayan Golf Course and Mulia Hotel. 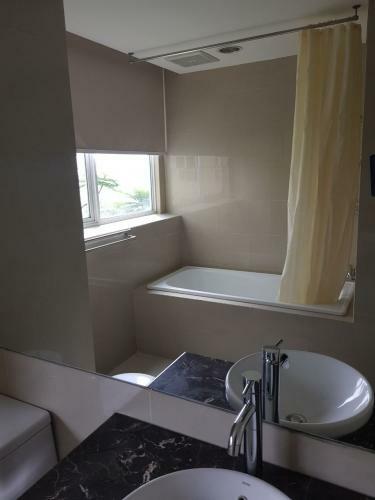 Sport: Swimming pool, Gym, Jacuzzi, Jogging Track, Tennis Court, Jogging Track, & Garden. 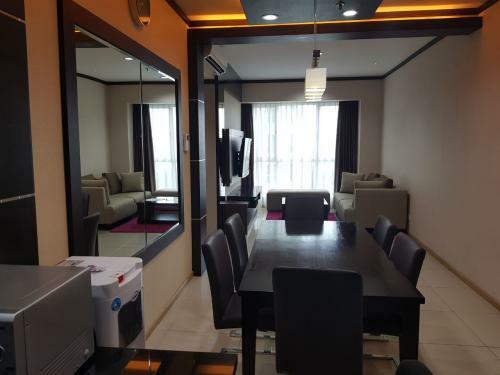 Entertainment: Connected to Gandaria City Shopping Mall with private access card, BBQ Area. Daily Needs: Minimart, Restarurant, ATM Center, Cafe, Laundry, Pharmacy, Library, etc. 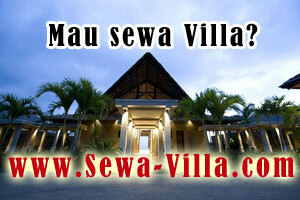 One the leading Property Developer in Indonesia. Easy access to Jl. Sudirman-Thamrin, main street of Jakarta. Integrate to Gandaria City Mall and Office Tower. 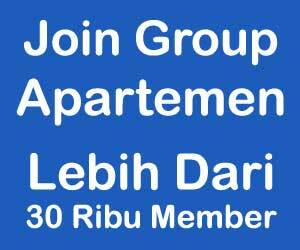 Additional Info: Located in the heart of the South Jakarta. 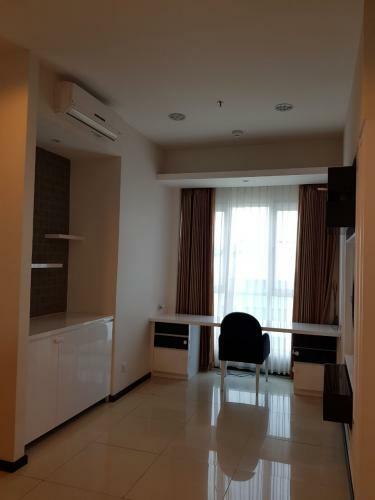 Easy access to SCBD, Pondok Indah, TB Simatupang, Senayan, Blok M, Sudirman, Permata Hijau. 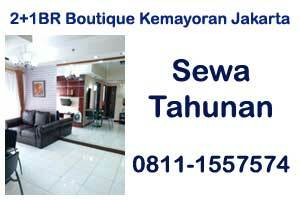 Close to many retail shopping centres such as Pondok Indah Mall, Senayan City, Senayan Plaza, etc. 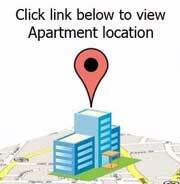 Surrounded by International Schools, Hospitals & other medical facilities. Additional Info: Easy access (this area is connecting the West Jakarta with South Jakarta through Pondok Indah Artery). 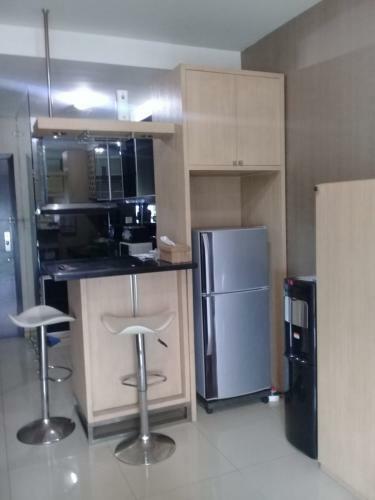 Besides, this residence is located in the residential area of Permata Hijau.Close to retail shopping center such as Senayan City, Senayan Plaza, Blok M Mall, Pondok Indah and Ratu Plaza.Close to schools and colleges, such as Bina Nusantara University (BINUS), Jakarta International School (JIS) (located in Jl. Patimura and Jl. TB. Simatupang), Jakarta International Preschool (Jl. Tirtayasa), SMA 70, SMA 6 (Mahakam) and other international preschools and state senior high schools.Close to Senayan Golf Course and Mulia Hotel.Close to hospitals and other medical facilities, such as Pertamina Hospital & Pondok Indah Hospital.Hospital, and Medika Loka Hospital. 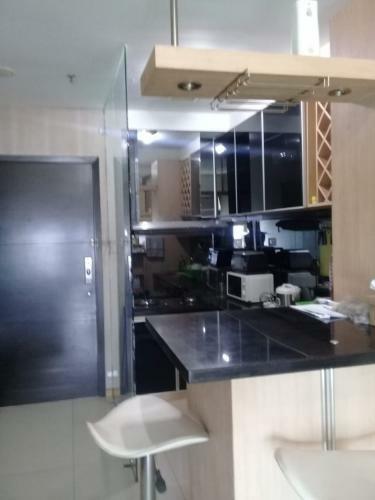 Facility: Akses ke Shopping centre (Gandaria City Mall), akses card, security 24 jam, CCTV , restaurants, cafes, swimming pool, laundry, jacuzzi, gym, sauna, ATM, library, children play ground, tennis court, etc. 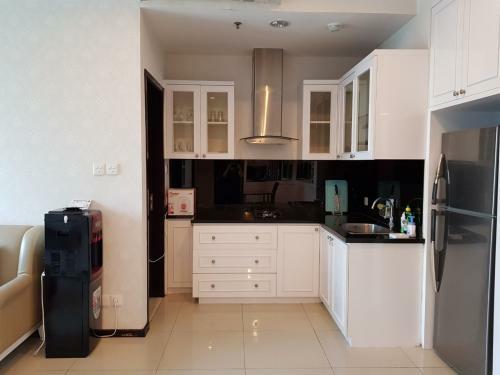 Close to hospitals and other medical facilities, such as Pertamina Hospital & Pondok Indah Hospital, and Medika Loka Hospital. 24-hour security with intercom system, CCTV, access facilities, balcony. Condition: Fully furnished & good condition. 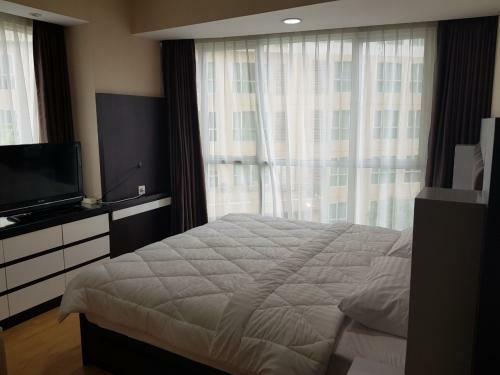 Security : 24-hour with intercom system, CCTV, access facilities, balcony. 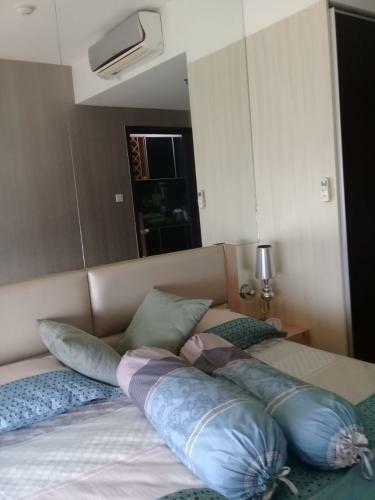 Sport : Swimming pool, Gym, Jacuzzi, Jogging Track, Tennis Court, Jogging Track, & Garden. 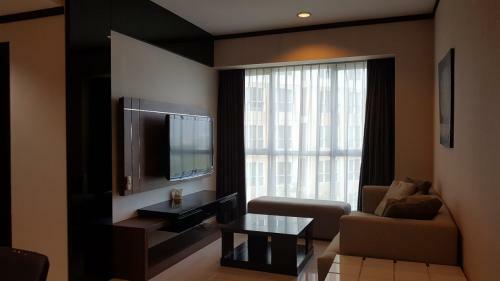 Entertainment : Connected to Gandaria City Shopping Mall with private access card, BBQ Area. 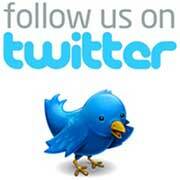 Surrounded by International Schools, Hospitals & other medical facilities. Security 24-hours with intercom system, CCTV, access facilities, balcony. 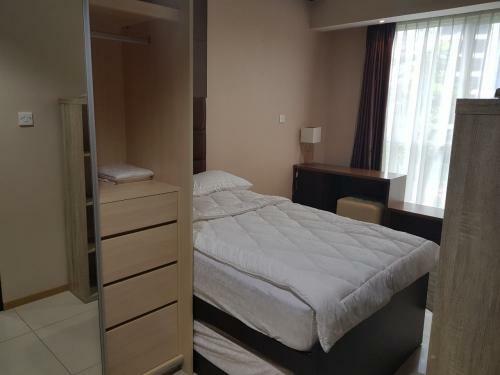 Facility: 24-hour security with intercom system, CCTV, access facilities, balcony.Sport: Swimming pool, Gym, Jacuzzi, Jogging Track, Tennis Court, Jogging Track, & Garden.Entertainment: Connected to Gandaria City Shopping Mall with private access card, BBQ Area.Daily Needs: Minimart, Restarurant, ATM Center, Cafe, Laundry, Pharmacy, Library, etc. Additional Info: Superblock concept by Pakuwon, one the leading Property Developer in IndonesiaLocated in an exclusive area in Kebayoran Baru, South JakartaEasy access to Jl. Sudirman-Thamrin, main street of JakartaIntegrate to Gandaria City Mall and Office Tower.